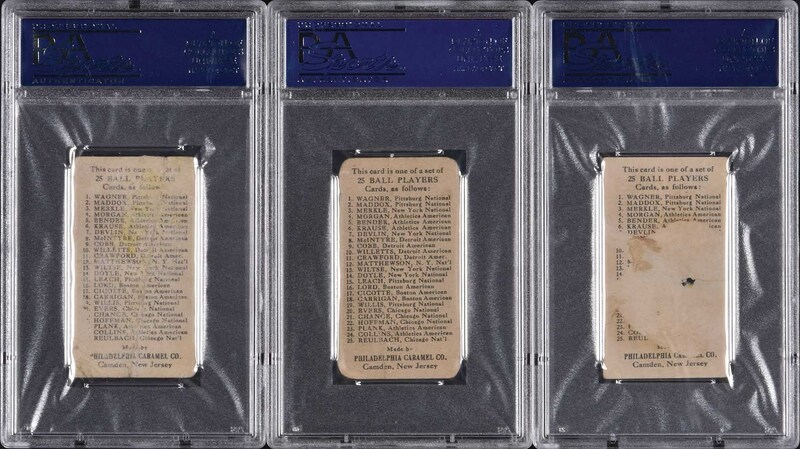 Collection of six different E95 Philadelphia Caramel cards, highlighted by New York Giants Hall of Famer Christy Mathewson. All six cards are graded and encapsulated by PSA. 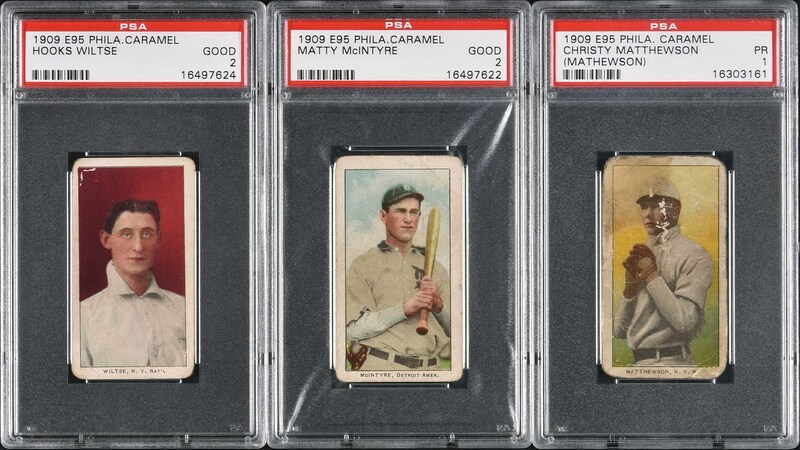 The 25-card E95 set was issued in 1909 by the Philadelphia Caramel Co. of Camden, New Jersey. This set is of even greater significance than many other caramel-card issues in that the E95 artwork was not reissued by other manufacturers, a widespread practice with other “E” card issues. The designs used in E95 are unique to the set. PSA Grading Report: Two GOOD 2: Matty McIntyre (Detroit Tigers) and Hooks Wiltse (New York Giants). 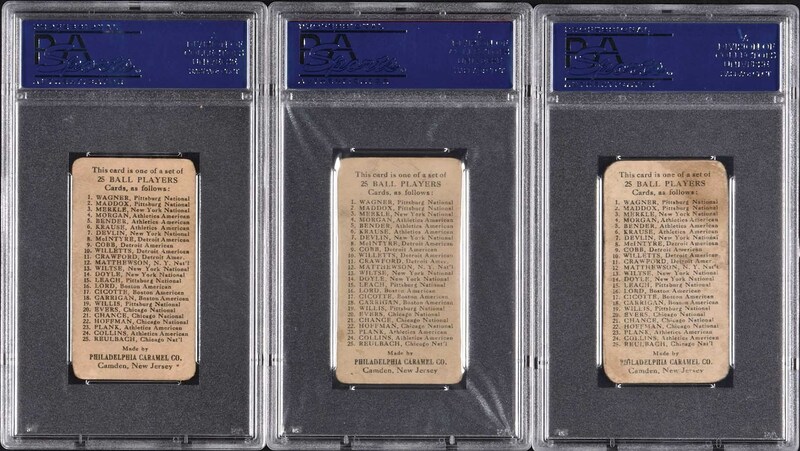 Three PR 1: Harry Lord (Boston Red Sox), Nick Maddox (Pittsburgh Pirates), and Christy Mathewson (HOF, New York Giants). One Authentic: Bill Carrigan (Boston Red Sox). 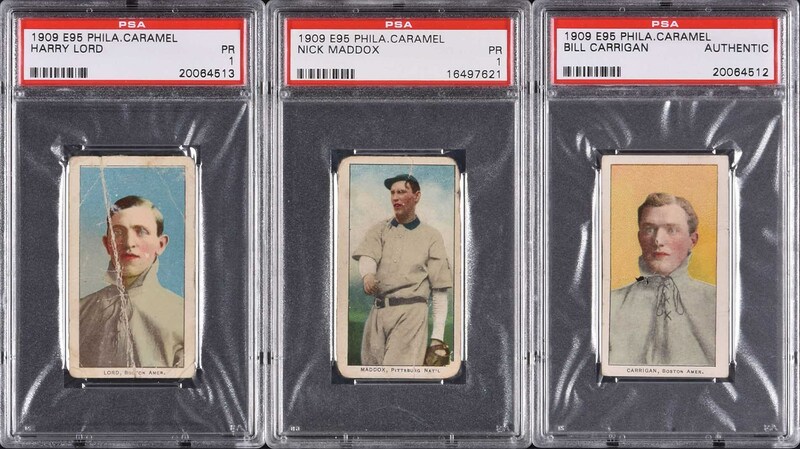 This collection represents a relatively affordable start to collecting one of the era's most popular sets. Total: 6 cards. Reserve $200. Estimate (open).